Yankees Sonny Gray had another rough outing, as he was touched up for seven runs in 2 2/3 innings. He allowed eight hits and two walks, while striking out three, to drop to 8-8 with a 5.56 ERA. That was all Baltimore would need, as Alex Cobb threw possibly his best game of the season, allowing just one run on seven hits and no walks, with six strikeouts. He improved to 3-14 on the season. The Yankees were trailing 7-2 entering the ninth when Gleyber Torres hit a three-run shot to bring them within two, but that was as close as they would get. The 1998 Yankees improved to 50 games over .500 with this demolishing of the Athletics in Oakland. The Yankees got a run in the top of the first when Derek Jeter had an RBI double. They added seven in the second, with most of the damage coming from a three-run home run from Chuck Knoblauch and a two-run shot from Paul O'Neill. 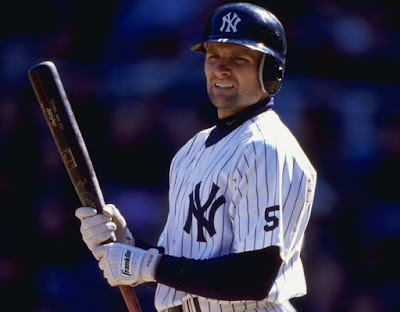 In the third, Knoblauch hit another homer, this one a two-run shot, followed by an RBI single from Tino Martinez and a two-run shot from Darryl Strawberry that made it 13-1. That was more than enough for Orlando "El Duque" Hernandez, who threw a complete game, allowing one run on three hits and two walks, while striking out eight, to improve to 6-3 with a 3.35 ERA. Where they stand: With the loss Wednesday, the 2018 Yankees (68-38) fall back to ten games off the pace of the 1998 team, which was 78-28 through 106 games. Good day. I discovered your online journal utilizing msn.I'll make sure to bookmark it and return to peruse a greater amount of your helpful information. This was a wonderful site and I really enjoy it the data you shared. Bookmarked this site. Extraordinary post, you have pointed out some phenomenal focuses. I really appreciate for this great information.Among the lots of comments on your articles. Thanks for sharing. really very nice and knowledgeable blog. This article is really fantastic and thanks for sharing the valuable post. Some genuinely interesting info , well written and loosely user pleasant.